When two filmmakers discover their blockbuster is really just a bust, they cut together every half-decent shot into a misleading trailer to dupe audiences and save their careers. You can make ANYTHING look good for two minutes! The movie for people who hate trailers... or love them. Trailer: the Movie! is a truly, truly funny film. It hits just about every movie trailer cliche from the 'trailer voice' to the obligatory Motown song. Anyone who's sick of trailers giving away all the best parts (and endings) of movies will love this movie. 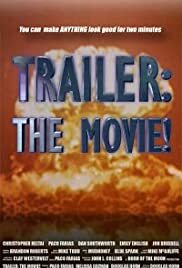 But with so many action movie and trailer shots so professionally recreated, people who love trailers will probably love Trailer: the Movie!, too.